Our Kid’s Treasure Chest Has Been Stocked with Exciting New Toys! What do LEGO, Paw Patrol, Teenage Mutant Ninja Turtles, Barbie, Peppa the Pig, and Play-Doh have in common? 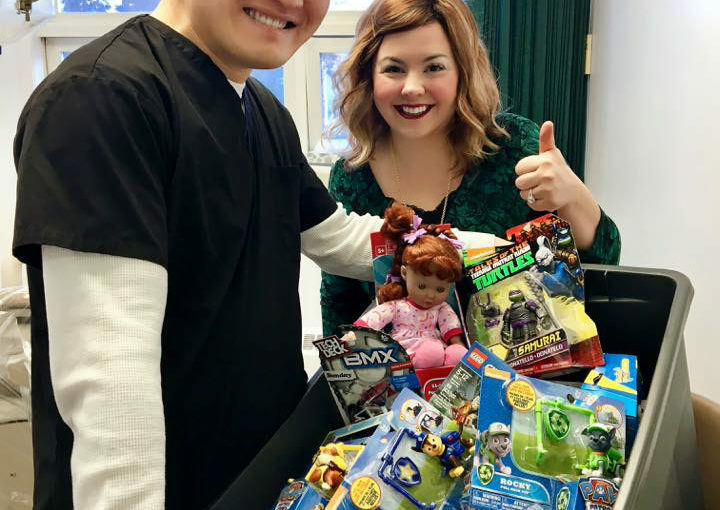 They are all featured in the Norwood Dental Centre toy treasure chest! It is important to develop good hygiene habits and comfort with going to the dentist at a young age. That’s why we try to make your child’s dental visit awesome! In our waiting room, there are kid-friendly books and toys (plus a large fish tank sure to delight! ), and at the end of their appointment, your child will get to pick out a FREE surprise toy to take home with them! Dr. William Chin loves giving out high-fives too.